This is a digital-only label sampler from murmur, the still-relatively-newish London-based imprint run by Geddes, the young producer who as I recall still had a first name when he used to work in PR. It’s a five-track affair, with five different artists involved, and it’s well worth investigating. Talking Props, AKA Brazilian newcomer Diogo Accioly, delivers a real deep house gem in the form of Catraio, while Tom Demac and Mic Newman serve up a couple more decent deep groovers, to wit Find Another and The LOVELY Whore (their caps) respectively… the former continuing the recent trend towards the return of soulful vox, the latter having just the tiniest hint of the E2:E4’s about it. Geddes’s own Rom is quality, too, blurring the boundaries between jazzy house and minimal, and then Inxec & Matt Tolfrey drop a seriously, seriously deep dub techno bomb called Decisions (with the emphasis on the dub). In fact, so high is the quality on offer here that picking a favourite is nigh-on impossible. Right now Inxec & Tolfrey are edging it but that’s probably just cos it’s Sunday morning as I write this… overall though there’s plenty of delights on offer and it’s only been out since Dec 16 so it’s still pretty fresh. Go seek. 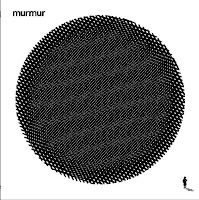 About: murmur opened for business in 2008, and have since put out stuff by the likes of Bearweasel, Inxec & Matt Tolfrey and Nima Gorji. You can find out more by visiting their website.